Iran says it will work with any government which is formed in neighboring Iraq after two political factions created an alliance that would give them a majority bloc in parliament. “We will work with any government linked with any political party and faction in Iraq, because the two countries are neighbors and must cooperate and work together,” Foreign Ministry spokesman Bahram Qassemi told reporters in Tehran. “What matters to Iran is the realization of what the Iraqi people want,” he added. His comments came a day after lawmakers following senior cleric Muqtada Sadr and Prime Minister Haider al-Abadi said they had created an alliance that would give them a majority bloc in parliament to form a government. Parties led by leader of Badr Organization Hadi al-Amiri and former premier Nouri al-Maliki also said they had formed their own alliance, which featured the lion’s share of the seats at the legislature. 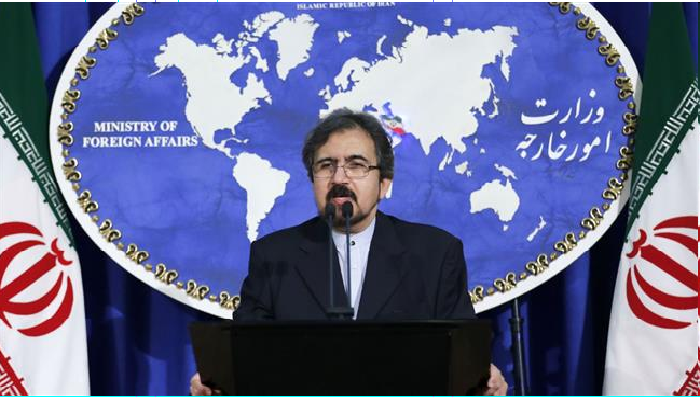 Late Sunday, Qassemi hit out at “absolutely ridiculous” allegations made by US Secretary of State Mike Pompeo of Iranian transfer of missiles to Iraq. The spokesman said Washington will not succeed in hampering longstanding relations between Tehran and Baghdad through its divisive policies. His made the remarks after Pompeo expressed “deep concern” over reports of Iran allegedly moving ballistic missiles to Iraq. “If true, this would be a gross violation of Iraqi sovereignty and of UNSCR 2231,” Pompeo tweeted.